The enclosures IECEx Of Delvalle Scheme is the future route to global compliance certification. 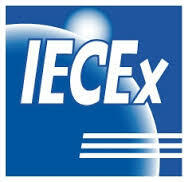 Its aim is to harmonise standards to allow free movement of goods by establishing a world-wide accepted IECEx standard. This will result in a single set of standards, a single certificate and a single mark. The fact that many countries operate under different standards means that Ex enclosures and equipment often needs to be re-tested and re-certified to the appropriate standards of that country, adding to the cost of the equipment. The IECEx scheme significantly reduces the need for re-testing and certification by conforming to international IEC standards, and therefore makes international trade easier, quicker and more cost effective. Under the terms of the enclosures IECEx Scheme, a Quality Assessment Report (QAR) is also required, which involves a site audit to examine quality management procedures un ex enclosures. This is a mandatory requirement of the IECEx scheme. Delvalle manufacture bespoke electrical enclosures approval by UL, CE, ATEX and IECEx certificacions. Delvalle One company all solutions!